7.5 in. 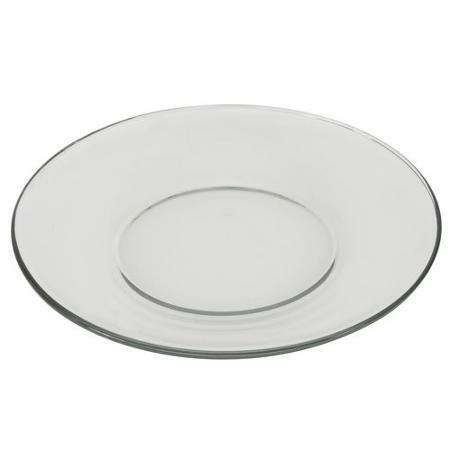 White Salad or Dessert Plate. White china. 12 in. 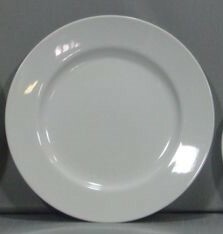 White Chop Plate or Charger Plate. 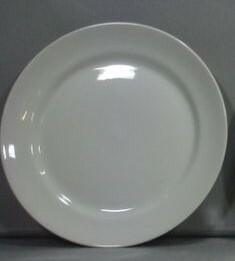 White china. 10 5/8 in. 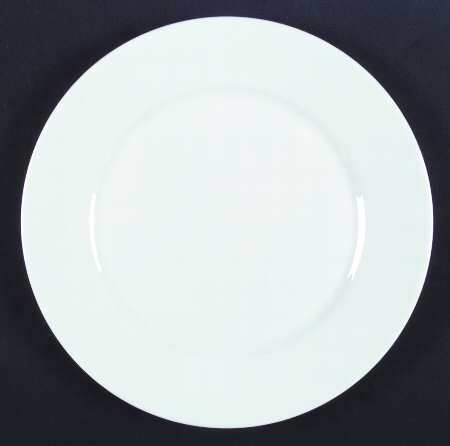 White China Dinner Plate. 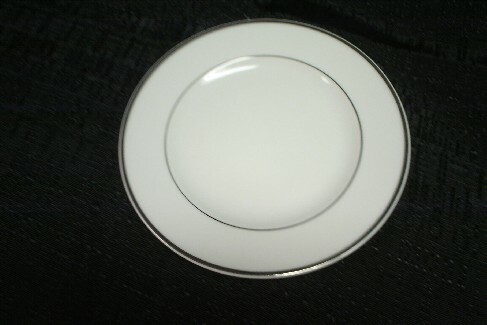 4 1/2" white china bowl. 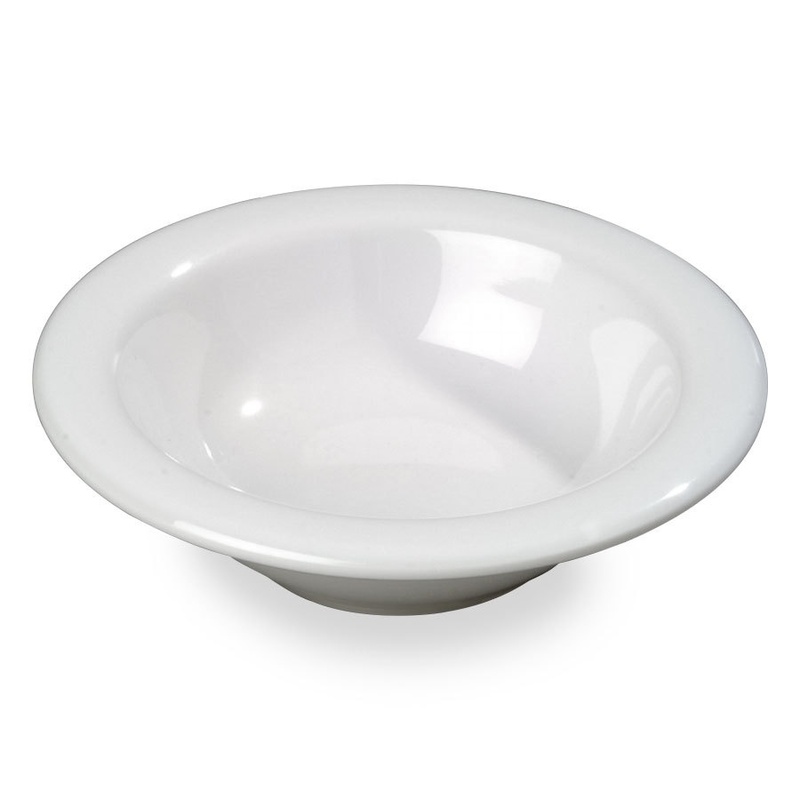 Can be used as a Bean Bowl, Fruit Bowl, also great for creamers or sugar on the table. 10 1/2 in. 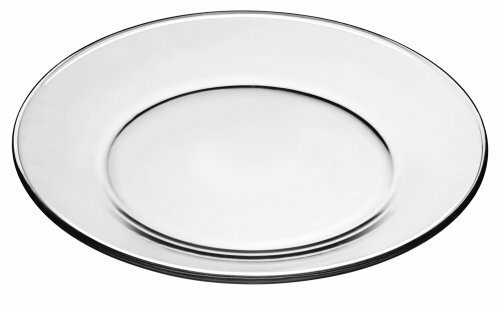 Clear Dinner Plate.